One of the main reasons why cars have become safe over time is due to the airbag system. It is one of the main safety features in vehicles manufactured today, intended to keep passengers protected in accidents. Airbags — also known as the Supplemental Restraint System — are condensed material packed in various locations around the car, filling up with air when deployed to provide support and comfort during impact. This is just some information the experts here at Car-Registration.org provide to inform drivers about airbag protection, the mechanisms that make up an airbag and how this device is designed to help prevent injuries and save lives. There are many forms of airbags on Car-Registration.org, but the most known ones are frontal, driver, passenger, curtain, seat-mounted side-impact, knee and inflatable seatbelt airbag. The team here at Car-Registration.org recommends drivers sit a minimum 10 inches away from the airbag to reduce impact during an accident. Sitting at a distance from frontal airbags and wearing a seatbelt gives passengers more room for airbag deployment. Side airbags deflate quicker between the driver and the door if the collision was from the side. Center air bags inflate between passengers so they do not hurt each other in an accident. When the driver hits the breaks on initial impact, it takes less than a second for the airbag to deploy after the crash. In that moment, sensors detect what type of accident occurred and which airbag to deploy. The Airbag Control Unit measures how severe a crash is and signals the airbag to inflate, telling the ignition to produce gas at a rate of 200 mph. The airbag deflates after the person comes into contact with it, putting in energy that gets absorbed. However, the team here at Car-Registration.org recommends wearing a seatbelt at all times because at this speed, a driver can get injured by the impact of the airbag. Airbags were made to work with seatbelts and some airbags may not even deploy if the driver is not wearing a seatbelt. Various sensors are located throughout the vehicle, but there are two main types—electrical and mechanical. These are called crash sensors and they indicate whether a vehicle has been badly damaged in an accident. These sensors work hand in hand to employ safety features and deploy airbags quickly. If a vehicle needs an airbag repaired or replaced, the cost would depend of the type of vehicle a driver owns. In many cases, the prices vary between $400 and $800 for a driver side airbag and almost $1,000 for a passenger side airbag. Do not try to repair the vehicle airbags by yourself. Seek a professional to make sure your airbags are installed correctly. If there is something wrong with the airbags in a vehicle, a corresponding light on the dashboard will flash, indicating that it needs to be checked out immediately. If there is no light on the dashboard to let the driver know whether or not their vehicle contains faulty airbags, seek out a professional. The team at Car-Registration.org urges drivers to take this warning seriously and get the car checked out quickly. If an airbag already deployed, it cannot be used again and needs to be replaced. Be on the lookout for fake airbags as well. 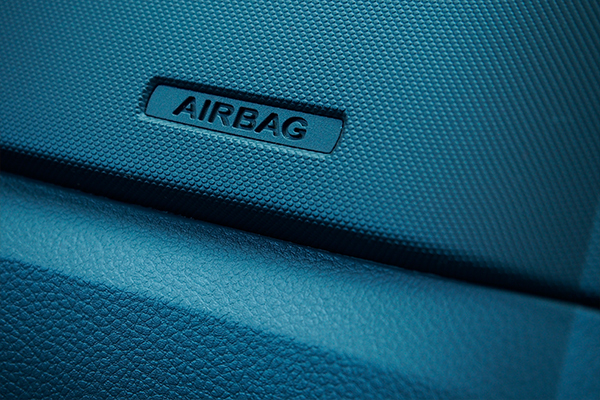 If a vehicle has a counterfeit airbag, it could malfunction during an accident, causing unwanted injuries. If your airbags were replaced by a repair company unknown to your insurer, contact them for more information. There are used airbags for sale as well, but drivers have to check with their insurers to see if they are allowed. In some instances, their insurance will be cancelled if installed without the insurer’s knowledge. Used airbags cost less than new ones and can be restored if needed. Most times, airbags last the lifetime of the vehicle, so they won’t need to be replaced. Children younger than 13 years of age should always sit in the rear of the vehicle. However, the experts here at Car-Registration.org suggest an airbag on-off as an alternative available to drivers to help protect friends and family from injury and in worse cases, death. The on-off switch can only be installed at authorized shops and dealers. If you are interested in having an on-off switch, make sure it does not conflict with your leased vehicle and that it is available for it. If it is not, the driver can request an airbag to be deactivated. Once it is, it cannot be activated easily.